I've released eyegrade 0.4 (actually, eyegrade 0.4.2 after a couple of minor changes and a bug fix). There is only one main change in this release with respect to the 0.3 series, the ability to export grade listings from the user interface. 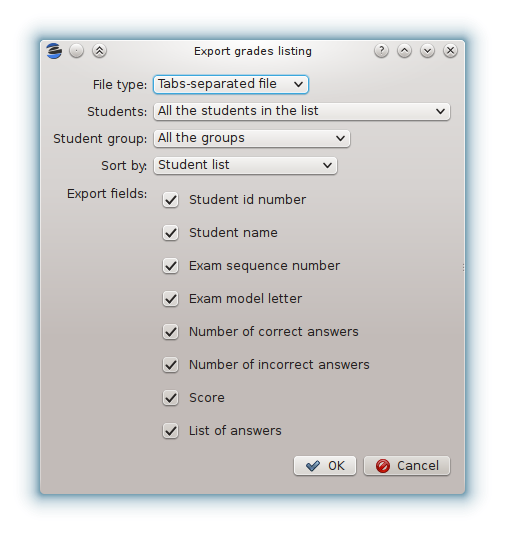 This new feature is easier to use and more flexible than the mix_grades script that was available in the previous versions. The script is now obsolete and will probably be removed in the future.